Structural engineerYou can rely on Polish Builder London to guide you through every step of your project. We take pride in providing our customers with expert advice throughout all construction phases. And although we think modern, our team is traditionally trained and is dedicated to high-quality workmanship using the latest techniques. 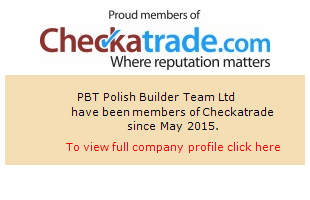 Polish Builder London delivers a wide range of services related to construction and renovation. We list just a selection here. You can call us on 078 419 34 986 or use our simple contact form to find out more.